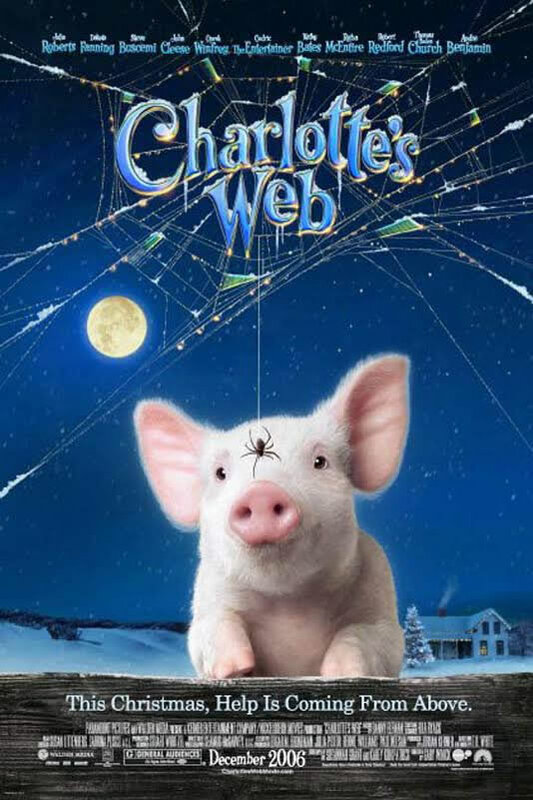 Charlotte's Web was filmed in Melbourne and surrounding Victorian locations for four months in 2005. Wilbur the pig is scared of the end of the season, because he knows he will end up on the dinner table. He hatches a plan with Charlotte, a spider that lives in his pen, to ensure that this will never happen. "Living in Melbourne for the last few months has been a joy. It is definitely a city that I would love to both live and shoot in." The rolling green hills of Victoria's countryside and the period streetscapes of Melbourne transformed into 1950's New England to tell this classic tale. Victoria's easily accessible and geographically diverse locations allow it to double for almost anywhere in the world. Melbourne's busy city streets are shadowed by towering skyscrapers allowing it to replicate large North American cities such as New York and Chicago. The city's modern appearance dramatically contrasts with glorious tree-lined streets and stately European architecture duplicating London, Boston or Paris. From rolling green hills to stretches of arid land, and from breathtaking coastlines to small historic townships, the State of Victoria has the range of locations to satisfy almost any creative vision. The variety of locations within a few hours drive from Melbourne is inspiring. The rolling hills of Greendale, just one hour from down town Melbourne, served as the farm locations for Charlotte's Web. Melbourne is an extremely cost-effective film making city, and its attractive financial incentives make it an appealing production destination. Australia offers a refundable tax offset for eligible film and television productions with a minimum Australian expenditure of AU$15million. The tax offset provides a benefit of 12.5% of the production's qualifying Australian production expenditure, which includes labour, goods and services. The incentives offered by Film Victoria's Melbourne Film Office (detailed below) can be used in addition to Australia's tax offset. The PIAF grant is designed to attract interstate or offshore productions to film or post produce feature films, television series, "reality" programs, mini-series, telemovies, animation series and documentaries in the state of Victoria. The Regional Victoria Film Location Assistance Fund (RLAF) is designed to encourage local and footloose projects (i.e. projects which have qualified interstate and/or international alternatives) to use locations outside metropolitan Melbourne. RLAF assists projects by offsetting some of the additional costs incurred when filming in regional areas such as accommodation, living overheads and travel.